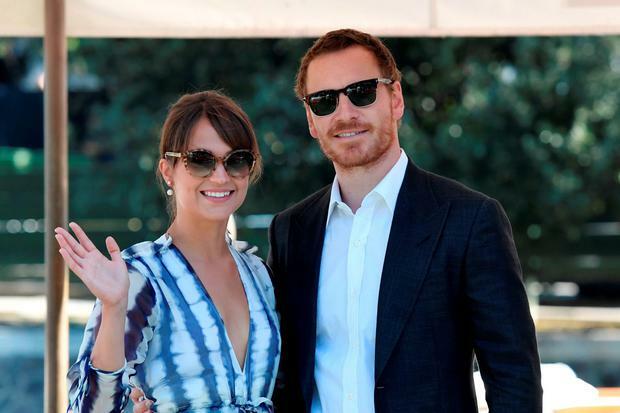 Alicia Vikander has given rare insight into her life with husband Michael Fassbender and she's living her own happily ever after. The 29-year-old Swedish actress wed the Irish actor (40) in Ibiza in October, in what was described by fans as "top secret", but which she considered to be "small, discreet gathering of friends and family", representative of their inherent low-key nature. Both have said they made an active choice not to publicise their personal lives, in particular their relationship, only touching on falling for one another while filming The Light Between Oceans in 2014. But, in order to appear on the cover of Vogue, stars are required to share more than they normally would in interviews and Vikander dropped her guard a bit and spoke about how overjoyed she is with married life for the February issue. "I feel I’m more happy and content than I’ve ever been...the happy-and-content thing, that’s talking about my private life," she said. "It’s not about being secretive. It’s just about choosing the few things that you keep private." She added praise onto her other half for his multi-faceted talents as an actor, saying: "I think he’s one of the absolute best actors I’ve worked with. Of course he’d done more films than me, but immediately when we started to work together he was so open to wanting me to chip in new ideas and thoughts. "He would be like, 'I'm stuck; what should I do?' and I would say, "You’re asking me?' That was such a sweet thing." The couple currently reside in Lisbon, Portugal and also have a home in London. Fassbender, from Co Kerry, is just as forthcoming with compliments over his wife's professional talents, telling Good Morning America last September: "She's such a fierce performer, she's so brave, she's not afraid to bring ugly personality traits to the forefront in character. I was really impressed by her immediately."